Contact Red Hawk Video Security for security camera system installation throughout Florida. 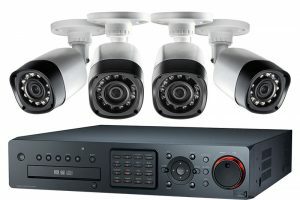 We also service existing video security systems for business, retail, multi-family, residential and gated communities. 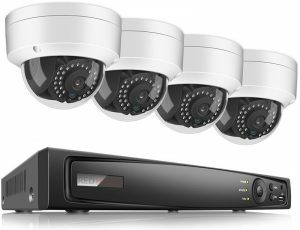 Video security, network, wireless and surveillance products from most manufacturers including IP cameras, network video recorders (NVR), network security cameras, network attached storage (NAS), wireless access points, network bridges, digital video recorders (DVR). Red Hawk provides both installation of new equipment and fast professional service to repair existing digital, analog and high definition over coaxial security camera systems including older video surveillance equipment. Red Hawk Video Security security camera installation in Florida. Expert installation, service and sales in Tampa Bay, Clearwater, Pinellas, Hillsborough county. HD-TVI: High Definition Transport Video Interface. Which is a digital signal processing and transport technology for video used in HD security cameras and DVRs. HD-CVI: High Definition Composite Video Interface. Another new technology for the security camera industry, CVI provides a different method of transmitting high definition video over coaxial cables.